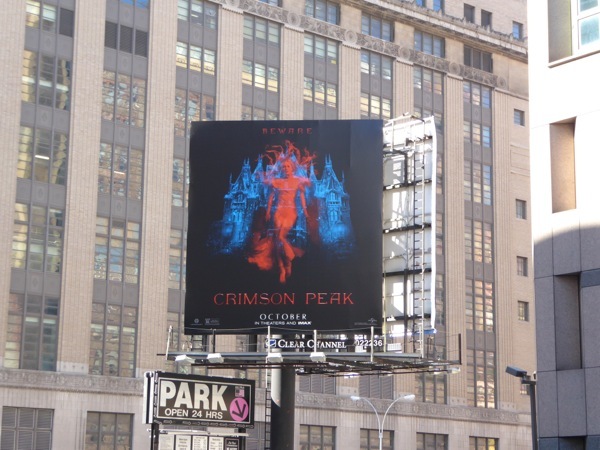 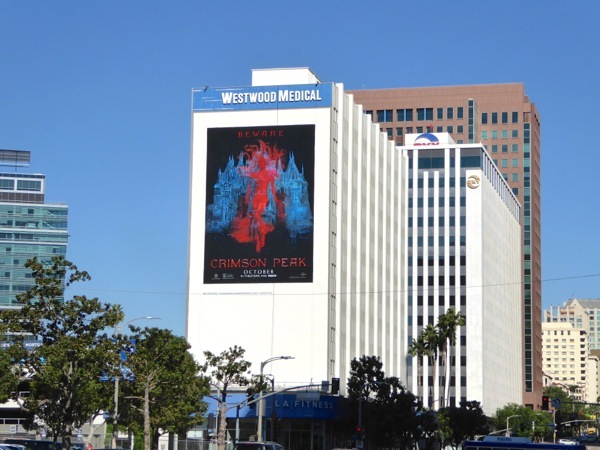 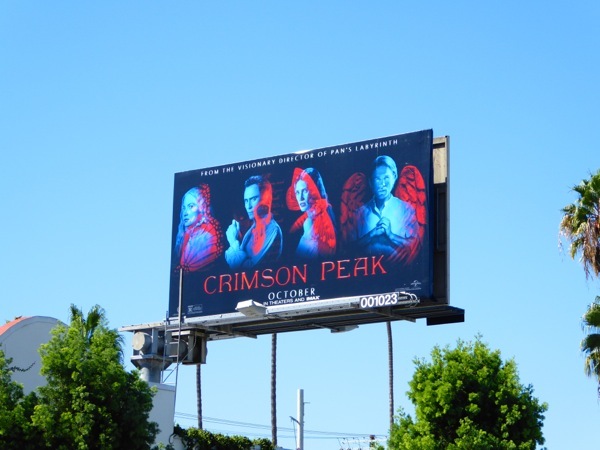 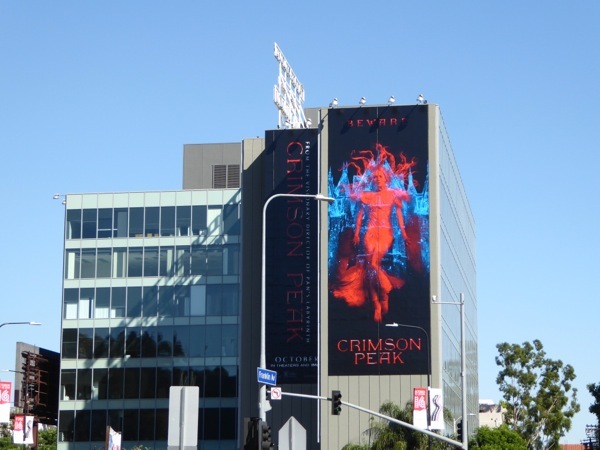 The Goosebumps movie billboards aren't the only spooky billboards haunting the L.A. skyline, as these ethereal Crimson Peak outdoor ads are also turning heads this month. 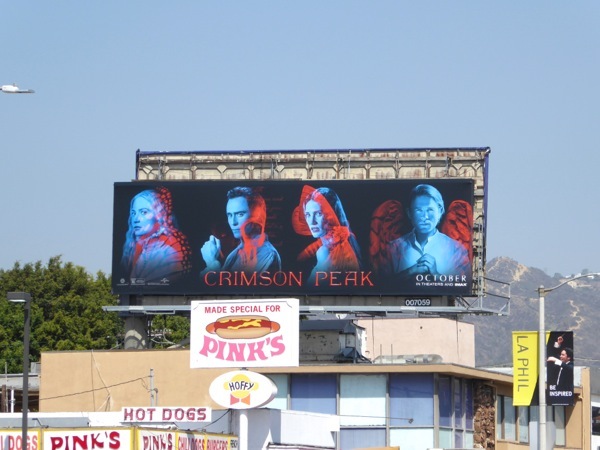 You can tell that these billboards belong to the world of Guillermo del Toro, as the sophomore season of his vampire drama on FX, The Strain, also utilized this exact same jarring blue and red colour scheme earlier the Summer. 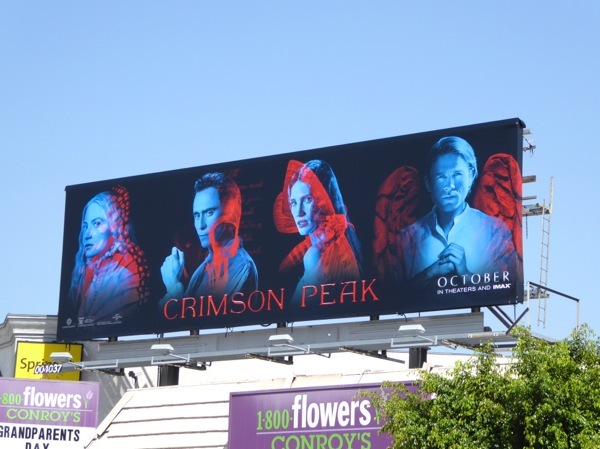 In this new ghostly story, the horror maestro spins a gothic tale of young author 'Edith Cushing' (Mia Wasikowska), who is enticed to the remote English mansion of Tom Hiddleston's mysterious and seductive 'Thomas Sharpe'. 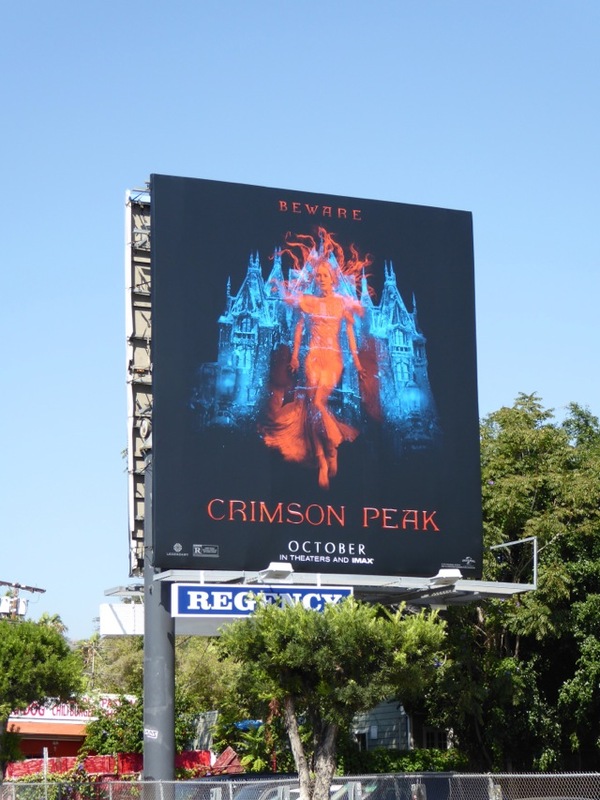 Marrying into the family, she moves into the haunted house with her new husband and his equally alluring sister, 'Lucille', played by Jessica Chastain, only to discover that that her new home holds more that its fair share of secrets and scares. 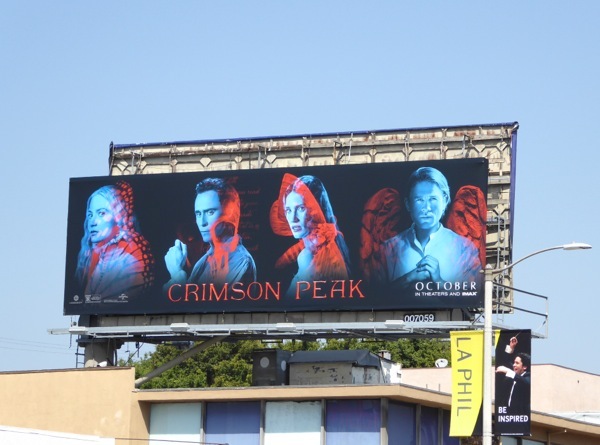 The movie also reunites Guillermo del Toro with Charlie Hunnam, his Pacific Rim leading man, who plays Edith's childhood friend and rival for her affections. 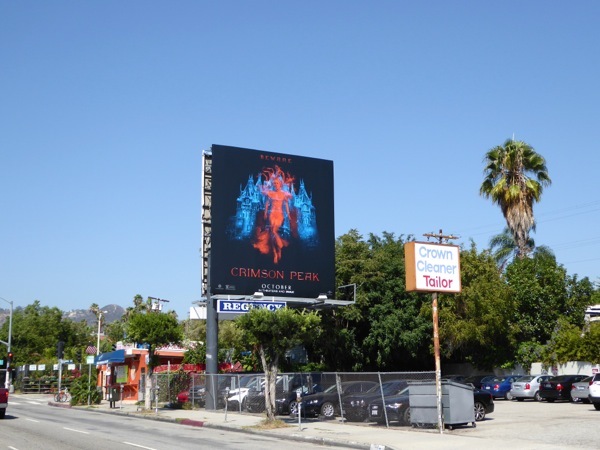 These otherworldly billboards for the new gothic romantic horror were first spied along La Brea Avenue, Fairfax Avenue and La Cienega Boulevard on September 23. 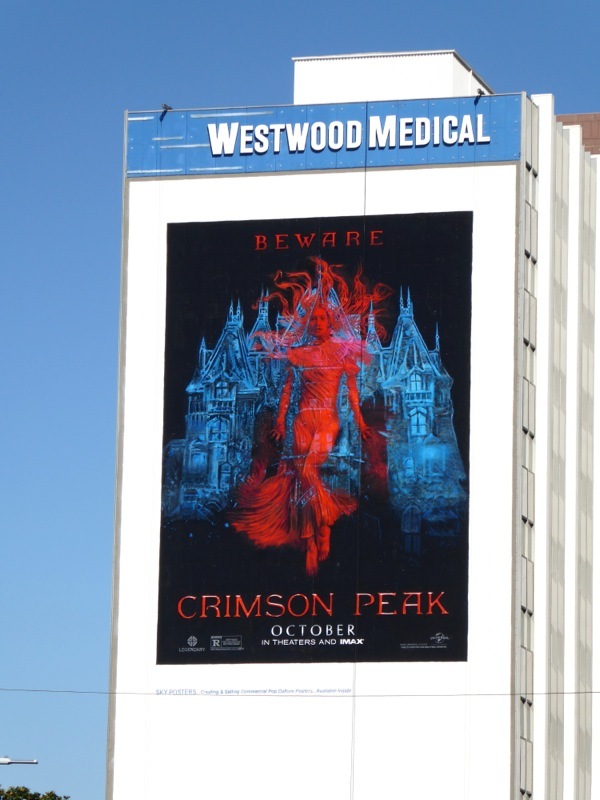 Meanwhile the striking giant-sized billboards were snapped making a spooky spectacle along Wilshire Boulevard in Westwood on October 9 and at the busy intersection of Highland and Franklin Avenues in Hollywood on October 11, 2015. 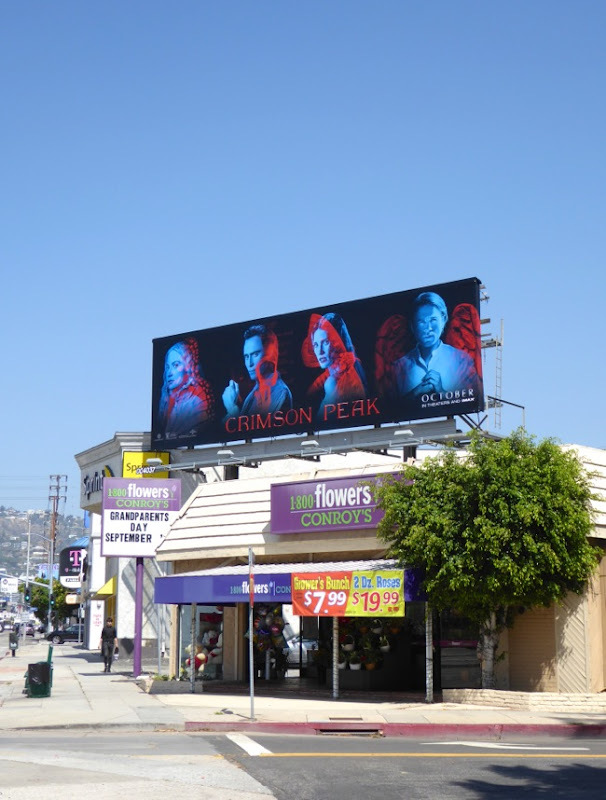 These truly are some of the most intriguing billboards filling L.A.'s streets and skies in this prelude to Halloween and certainly convey the strangeness and originality of the new film. 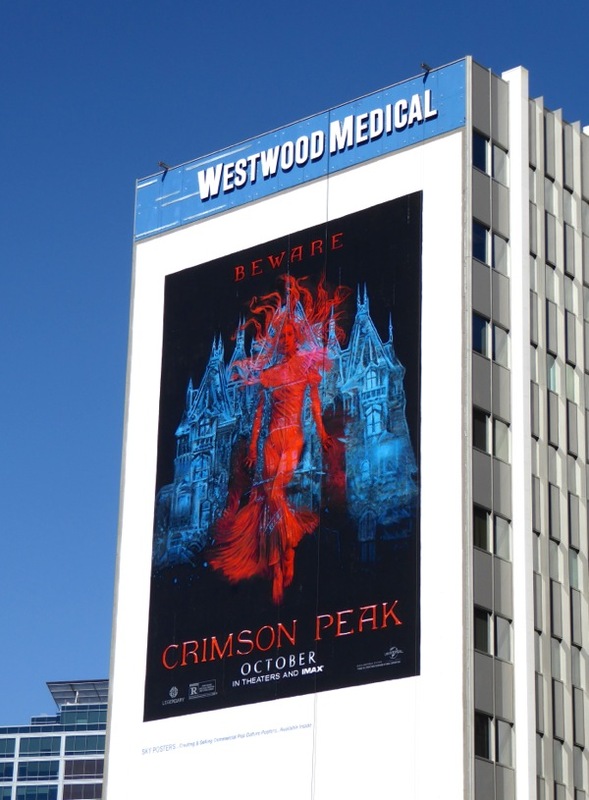 The ad creatives may say 'beware', but Daily Billboard feels that they really do the trick tempting audiences to go see this romantic supernatural horror. 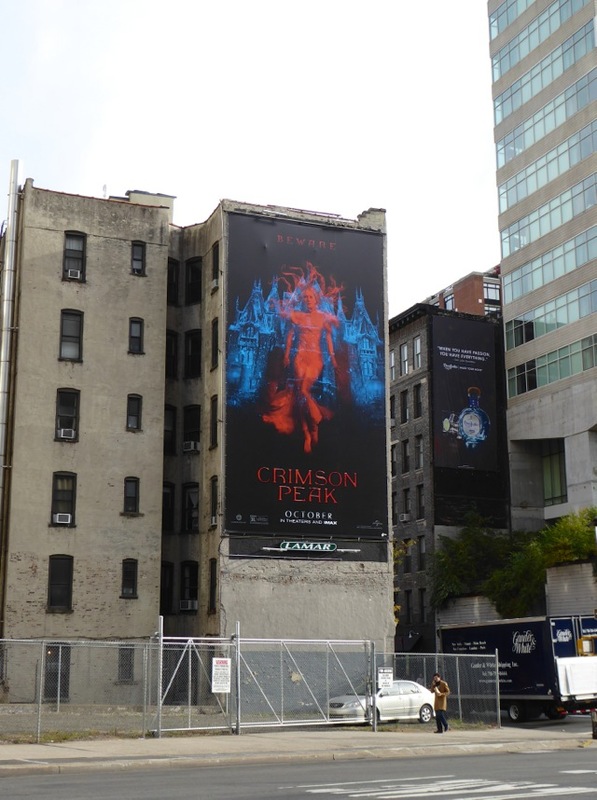 UPDATED: Here's also some outdoor support for Crimson Peak around the streets of New York City snapped on November 2, 2015.